When Bragi docked in Bratislava, most passengers joined the complimentary city tour. A few dozen of us opted not to, however, because Viking had a unique optional tour that sounded much more interesting. How many people will ever get an opportunity to visit a private home nearby and chat with the family there? To us it was a once-in-a-lifetime opportunity to get insight into how the people of Slovakia had managed through the past few decades of political and economic turmoil. 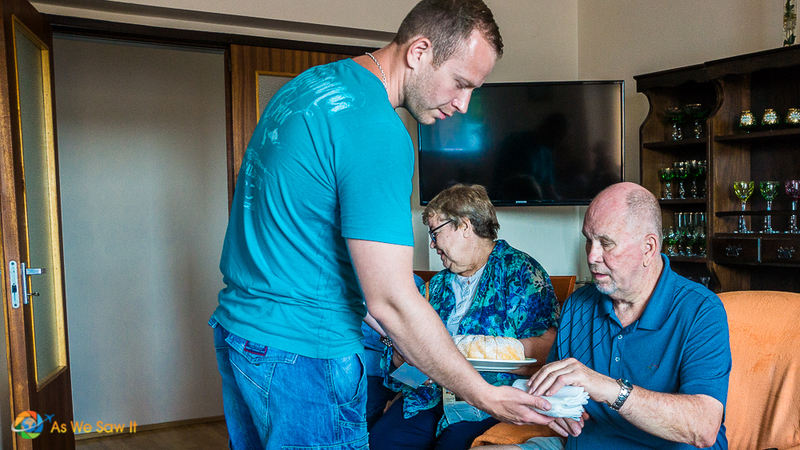 To ensure we had an intimate experience, each tour group was small—only about 10 people—and each group visited a different home with a different guide/interpreter. 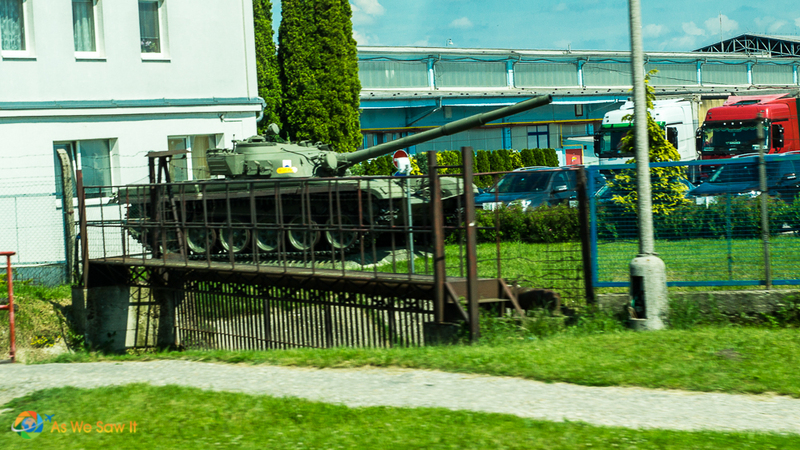 Our guide, Jana, had watched the fall of Communism and the split up of Czechoslovakia. As we watched the passing scenery she shared her memories of the past decades as her homeland has become its own independent country. Our 40-minute ride took our small group to Senkvice, a village at the foot of the Small Carpathian Mountains. Dan and I were delighted to hear that the home we were going to visit was a small, family-owned winery. Jana told us that we would be meeting Peter Kukumberg, who was learning the wine business from his father. As we drove through the countryside we were surprised to see vineyards everywhere we looked. 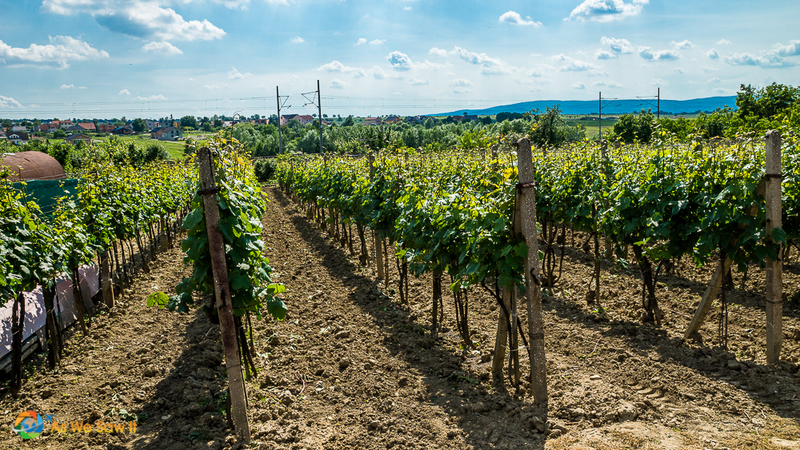 Jana explained that the soil in this part of Slovakia is ideal for viticulture. The country has six wine regions and many of its grapes are not grown anywhere else in the world. This was a happy surprise and we were most definitely intrigued. As I've mentioned before Dan and I have been really impressed by Eastern European wines. It's such a shame that they are so hard to find in the U.S.
A smiling Peter greeted us as we stepped out of the minibus. We began our visit at the back of his home so we could see where he grew some of his grapes and had an outdoor tasting room. 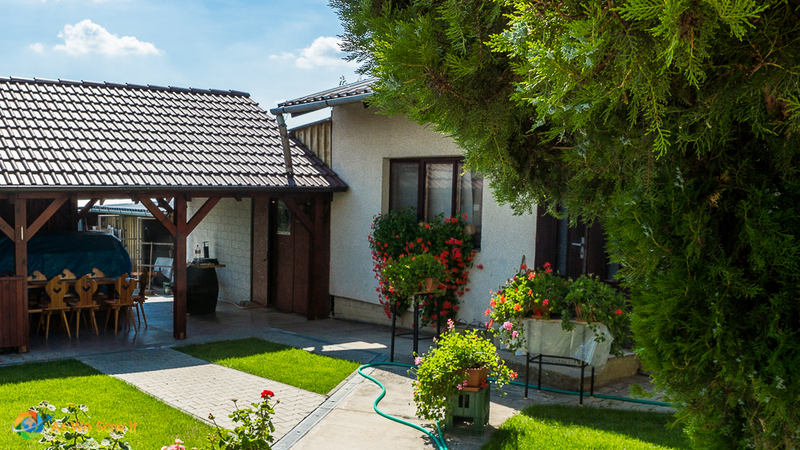 Simple front, small front yard … all the land is in the back. Wow, the Kukumberg property goes back pretty far! I was especially impressed with how beautifully maintained his small vineyard was. It’s amazing how a few words in the local dialect can enhance an experience. I used the three Slovak words I had learned for the occasion liberally and shared them with the others in our group. Peter and our guide were surprised and we could see on their faces that they were quite pleased. Good thing I knew to use a y sound whenever a j appears or I’d have embarrassed myself royally. The weather was so beautiful that we gathered in the outdoor tasting room to chat. Peter explained that their winery had been larger before the communists took over. A lot of vineyards were destroyed during that era so the land could be repurposed. Some vintners were able to stay on their land, but as workers only. Talk about a disincentive! Many vintners lost the motivation to produce what they had once taken personal pride in. I can't say I blame them. No one wants to be a worker bee once he has been the queen (er—king, to be more anatomically correct). After the communist regime fell many Slovaks were able to reclaim land they had lost under Communism. Peter’s father Kamil regained most of what the family had lost and was compensated for the rest. In 2000 he decided to revive the family’s winemaking tradition and established the eponymous Kamil Kukumberg winery. He is now passing his over 40 years of experience in grape growing and wine production to Peter, who has managed the small winery since 2011. 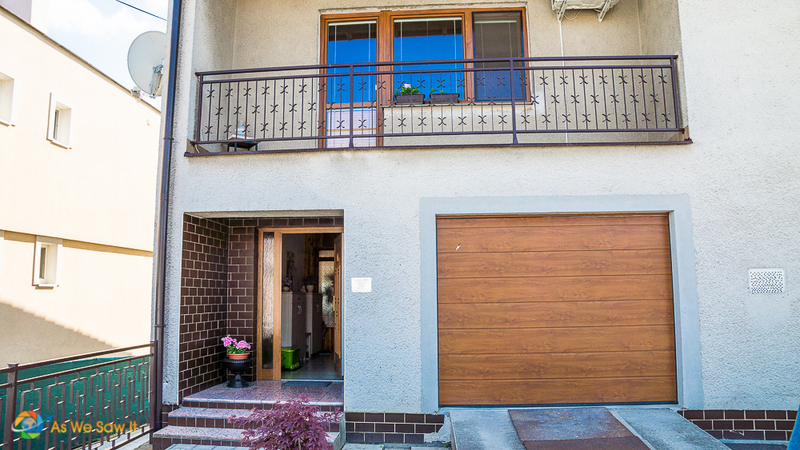 After chatting for a while we entered the Kukumberg home to see their cellar. This is where they age their wine. Most of their wines are aged in plastic or stainless steel, rather than oak. Up until now Peter has been business manager and his father has been the only vintner. However, he is slowly learning how to do his father's job because Kamil wants to retire. He told us that they focus on quality rather than quantity—sorry, no export is possible. He is satisfied enough to sell his wines to people and restaurants in the area. 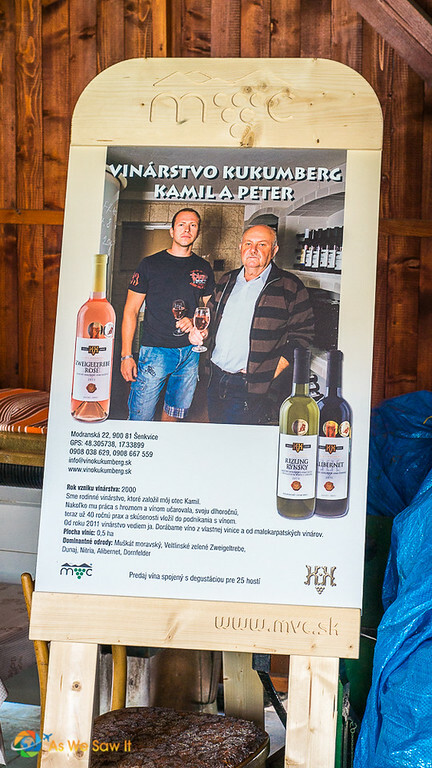 Kamil Kukumberg produces a variety of red, white and rosé wines. Peter explained that his vats and barrels were in another part of the basement that was even colder, he told us, so we wouldn't want to see it. No problem. It was cold enough where we were. When he realized we were getting chilly Peter invited us upstairs to his living room to continue our conversation. Jana acted as interpreter for a while, and then Peter's charming cousin arrived. She spoke excellent English and quickly translated so Peter could answer many of our questions directly. We found out that it's not uncommon for people to have wineries in their basements. They had done so during communist times as well. 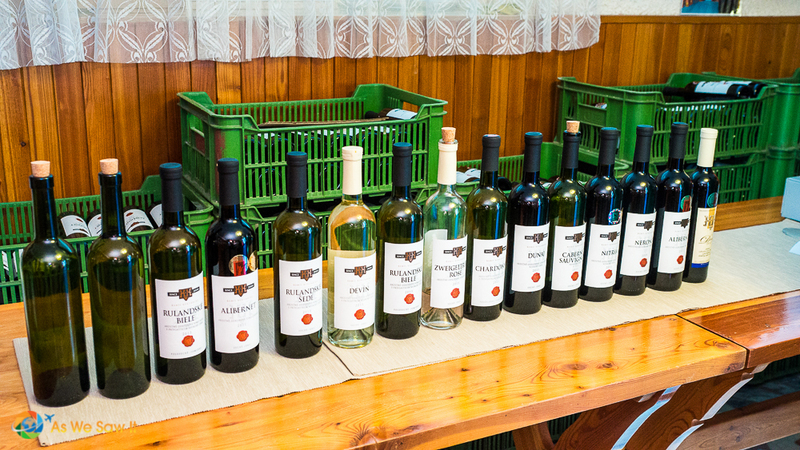 It is so common that there is now a Small Carpathian Wine Route. 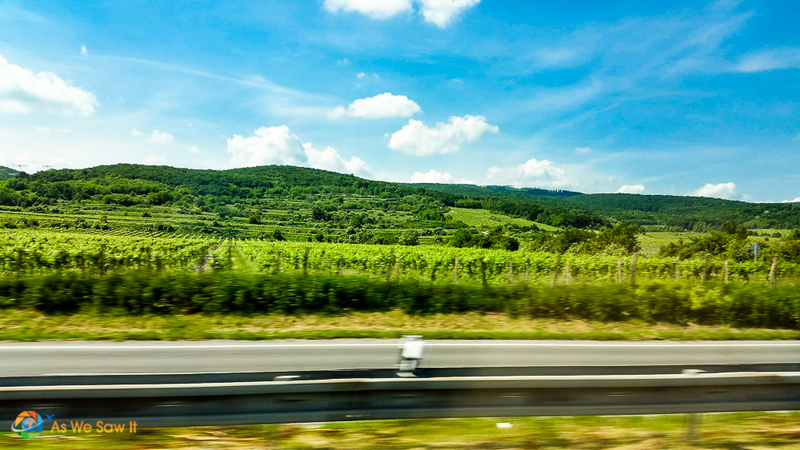 Okay, the Wine Route is not actually a route per se, but rather the wine region around Bratislava. The highlight of the year is Day of Open Cellars. Get this: For one small fee you will get a glass, a pouch to carry the glass in and a list of 600 wineries you can visit. Not only are you able to sample all the wines you can in two days, you are also entitled to take home $ 20.00 worth of bottled wine of your choice. Good thing those pouches come with a neck strap. You'll need it to keep your glass safe. We all agreed it would be a great reason to return to Slovakia, especially since Jana is available as a private guide. This was definitely turning out to be a once-in-a lifetime experience: Devín and Dunajare unique to Slovakia. Some asked for second glasses, ourselves included. He was very happy to oblige. “Do you support yourselves completely with the winery, or do you have other businesses as well?” someone asked. 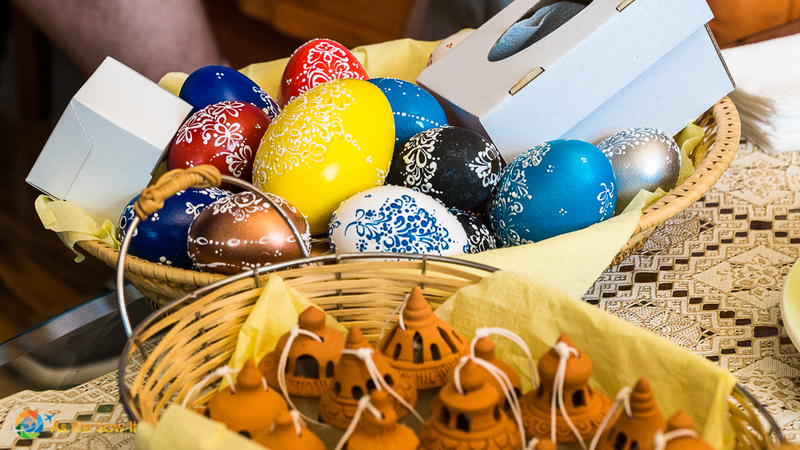 “Not just the winery,” Peter answered, and he brought out some of the handicrafts his family produces to sell, both ceramic bells and painted eggs. And yes, of course we could purchase his wine as well. This being our only opportunity to try it (it wasn't one of the wines we were able to sample), Dan and I spent €10 on a bottle of his pride and joy: his 2009 Alibernet. It’s earned the most awards of any of their wines. Post trip note: In the glass the Alibernet turned out to have a very dark, black cherry color. It was smooth and dry, easy on the tongue, spicy with some berry and chocolate, and had a pronounced smoky flavor in the aroma and finish. Lovely. We were quite sad to see the bottom of the bottle. If you know where in the US we can buy wine made from the alibernet grape, please let us know. You should share this story with your wine-loving friends. They need to know how good Eastern European wines are. 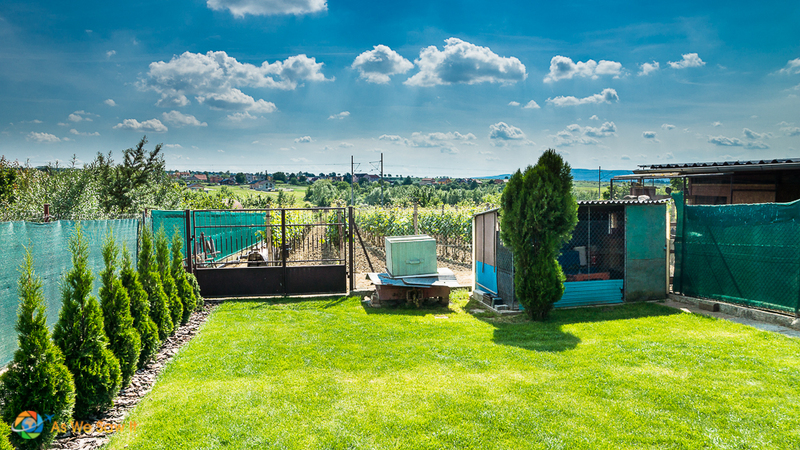 Click here to see more photos from Kamil Kukumberg winery. Click here to see more photos from our day in Bratislava. Very lovely and charming scenes! 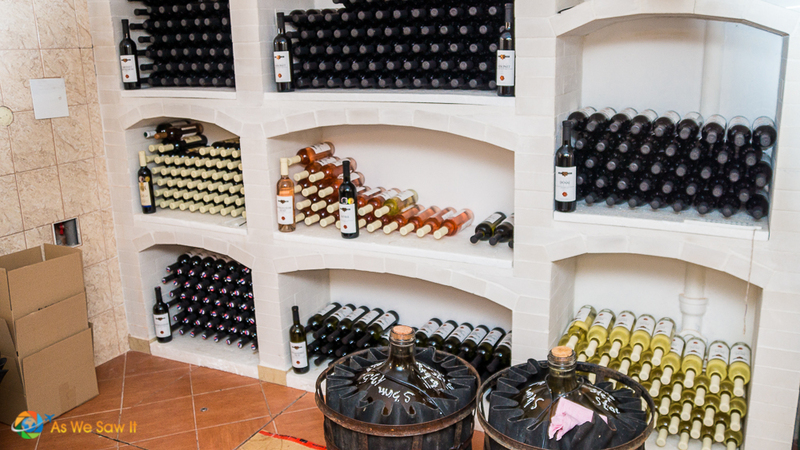 We would definitely love to visit a real winery; we haven’t visited one before. You’ve never visited a winery? Well, perhaps you should … and you don’t even have to fly to the New World, Europe or Australia. I’ll bet you didn’t know that there are now wineries in southeast Asia and China!